Stores and companies of various shapes and sizes have promotions that offer Aeroplan miles occasionally. At the end of the day, this probably shouldn’t give you enough reason to shop at that particular store. However, if that store has the best prices, if you love their brands, or if they are the most convenient, then you could look at the miles as a nice bonus. Essentially, if you were going to shop there whether they offered Aeroplan miles or not, then you should seize on any Aeroplan promotions. If your options are “nothing” or “Aeroplan miles”, then the miles should win every time. However, with so many promotions available in today’s market, you have to always ask yourself, “is this the best deal?”. Always actually think the promotion through and see if it makes sense. Don’t let the promise of huge Aeroplan mile rewards sweep you off your feet. Instead, look at the value of the reward versus the value of any other incentive or promotion you could potentially take advantage of. Letting Aeroplan miles dictate where you shop or what you buy is a trap. In fact, it is a trap that retailers are counting on, which is why they offer these types of promotions in the first place. You need to determine whether or not the incentive is actually offering you a deal. This starts with figuring out how much you would pay for the item, WITHOUT the Aeroplan incentive package. So, let’s take an example: let’s say that you’re purchasing something at an advertised rate of $150, with a 1000 Aeroplan mile bonus promotion attached to it. Sounds great, right? But is it? Well, we’ve already determined that Aeroplan miles are worth approximately 1.25 cents per mile. So, those 1000 miles are worth about $12.50. Basically, if you could get the product for $137.50 Anywhere else, it would be a break even proposition. If the product costs at least that much or more anywhere you would buy it, then the Areoplan bonus presents you with some good value for your money. However, the same math applies in a sense. You should always decide whether or not you’re getting the best value for your money. You do this by comparing the value of the Aeroplan miles against the cost of the purchase you want to finance. Some travel companies give you bonus Aeroplan miles, and these packages can seem like a great deal. However, you may not actually be getting the deal that you expect. Car Rentals: For instance, when renting a car, if you ask for the Aeroplan promotion you need to keep an eye out for anything that sounds like an “airline mile offset charge.” If they have something like this in their deal, the extra costs will likely negate any potential value in the promotion. Cruises: Cruises are similarly tricky. A Cruise might offer you an Aeroplan bonus that looks great because of the big numbers involved. We’ve all seen the, “Get XXXXX Aeroplan miles when you book” offers. The price of the cruise is the important piece of information here, not the Aeroplan promotion. If you could get a similar cruise cheaper from a different provider without a promotion, you need to weigh whether those miles are worth it. If you want to rack up some Aeroplan miles while shopping online, you can shop through the Aeroplan eStore. 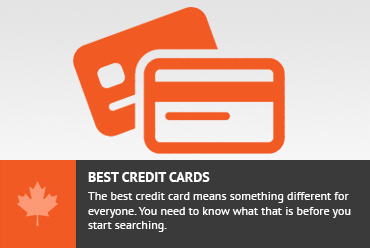 Essentially, this is a shopping portal that lets you earn Aeroplan miles on your online purchases. However, alternative online shopping portals might actually be a better deal. eBates: eBates provides customers with a cash back rebate when they shop through the website. Deals range from as little as 1% cash back all the way up to 15%. The best deals on this site are likely to provide far better value than receiving some Aeroplan miles for your purchase. Great Canadian Rebates: This site works similar to the one above. A product will go on sale or a company will have a promotion of some kind. Then, on top of the promotion itself, you can earn a percentage of a rebate by purchasing through the website. With a rebate differential of 1-15% on these sites, it is really impossible to provide generalized advice on this particular topic. What I can tell you, is that if you want to get the most mileage out of every dollar you spend, you need to look at each purchase as an individual puzzle to be solved. Shop for the product through the Aeroplan eShop, and then see if you can find the same item on other rebate sites, or if you can find it elsewhere for a better price. Then, knowing the value of the Aeroplan miles, you can analyze the deal to see who has the absolute best deal. You might have noticed a common theme throughout this section. The idea that you’ve seen throughout is that you need to evaluate the cost of each purchase, and consider whether what you’re paying is a deal when the Aeroplan miles are factored in, or not. Don't subscribe All Replies to my comments Notify me of followup comments via e-mail. You can also <a href='https://www.creditwalk.ca/comment-subscriptions/?srp=3523&srk=2648578ecea05c83754707575dc5a494&sra=s&srsrc=f'>subscribe</a> without commenting.